DEFRO DUO EKO PELL boilers were designed based on the DEFRO DUO model. The most important difference is a fuel feeder and burner adapted for combustion of biomass in form of pellet from deciduous trees. The most important advantage of these boilers is an advanced automatics - controller servicing central heating and hot utility water pumps and two additional pumps and servicing of mixing valve and self-acting system: of ignition and fuel feeding and cleaning of burner. Additional chamber created by fixed water-cooled grate, with thickness of wall 8.8 mm, allows periodical combustion of the other fuels - e.g. 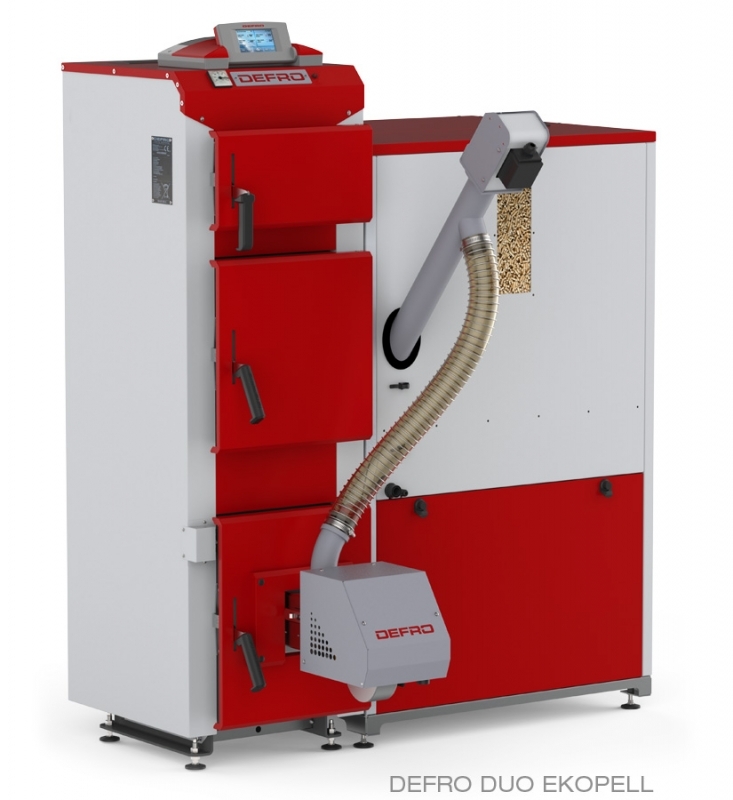 wood chips - and start-up of boiler in emergency situations. Boilers are equipped with series of sensors monitoring its operation. 1 Maximum area of heated rooms estimated for unit heat demand q=85 W/m². 2 Fuel tank capacity for charging density 0,6 kg/dm³. 5 Boiler weight depends on the equipment.